A ferry accident in Burma's Irrawaddy Delta has claimed at least 10 lives with three people still missing and 72 rescued. State media reported that the “Pathein Thu” sank at around 2 pm on Tuesday as it was about to dock at a jetty near Ngapudaw Township. It had just completed the 30 km journey from Pathein Township on the Pathein River, which lies around 135 km west of Rangoon. The cause of the accident is still being investigated but there are accusations that rough conditions and overcrowding could have been to blame. A senior police spokesman from Ngapudaw Township told The Irrawaddy on Wednesday that at least five women and one child were amongst the dead. There were around 100 passengers on board and residents of Ngapudaw Township claimed that this meant the vessel was overloaded at the time of the accident. Many of those on the ferry were local people from Ngapudaw Township who went to Pathein Township to sell goods and were now returning home, according to local sources. 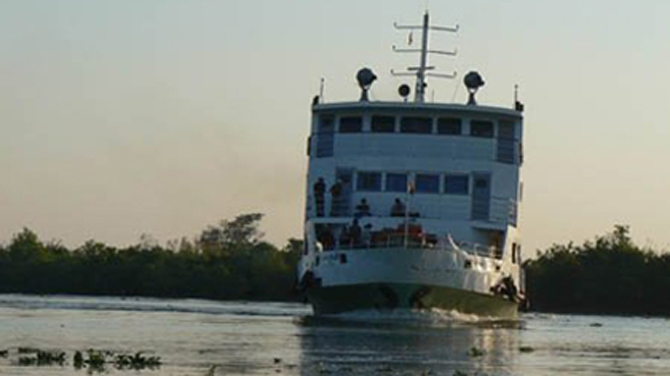 Boat travel is often used in Burma's vast river deltas and coastal regions, which are poorly served by road or rail, and accidents are common. In November 2009, a ship sunk in Pathein claiming the lives of 40 passengers with another 50 still missing. The vessel was primarily a cargo ship that was also carrying passengers on board. For the are development and safety journey a bridge should think about building a bridge on the Nga Wun River. If we care about the lives of the people should think about this incident seriously. should take more action to the ferries that carrying people and goods. Monsoon is coming very soon, because of reckless driving and overloading passengers and goods more accidents can be happened. Hluttaw representative from Ayeyawaddy area should talk about this matter in the Hluttaw meeting.